Jamba Juice, McDonald’s, and several other food chains are starting to serve their drinks in paper cups. Drinks stay just as hot and cold in new doubled-walled paper cup as in the old non-biodegradeable foam variety. The paper industry likes it a lot too. Demand for paper cups is growing 5% a year. Environmental concerns from consumers and new bans on plastic foam in more U.S. cities are prompting food chains to make a switch, reports The Wall Street Journal (April 11, 2014). Jamba Juice said last year it would adopt paper cups for its smoothies and other cold drinks “to improve our environmental footprint.” McDonald’s is replacing plastic-foam cups with double-walled McCafe paper cups at all 14,000 McCafes across the country. The company says it is trying to be more environmentally conscious and cut costs on trash. Dunkin’ Brands Group Inc. has said it is testing paper cups. 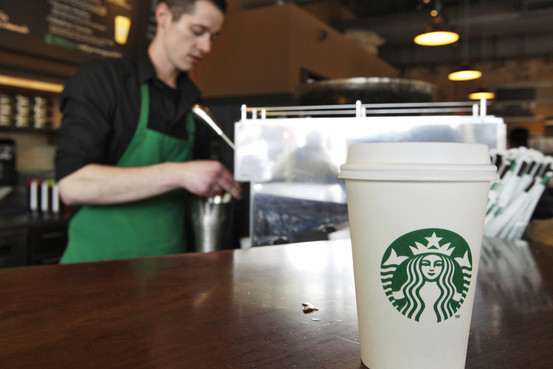 These companies join Starbucks, which has been using paper for years. Environmental advocates say paper is easier on the environment than plastic foam because the latter tends to break up in landfills and then is mistaken by animals for food. Plastic foam is difficult to recycle unless it is kept clean and separated from other types of plastics—so many plants in the U.S. don’t take it. It isn’t biodegradable. Paper cups are slightly more expensive than foam. Extras like double walls for insulation or plant-based lining to make it compostable add to the price. While the paper cups cost a few cents more, McDonald’s says it will make up the difference in the trash. Most of the chain’s waste is paper-based– wraps, fry cartons and Big Mac boxes—so paper cups can go into the same trash bin, and eventually into recycling bins.